MusiCares is lending a hand to those affected by the devastation of Hurricane Harvey by establishing a relief fund to support members of the music community affected by the storm. Assistance will include help with basic living expenses such as shelter, food, utilities, transportation, medical expenses, doctor and hospital bills, medications, clothing, instrument and recording equipment replacement, relocation costs, home repairs, debris removal, and more. Industry members seeking assistance can contact the South Regional MusiCares office at 615.327.0050 or toll-free at 877.626.2748 or apply online at grammy.com/sites/com/files/mc_disaster_relief_app.pdf. 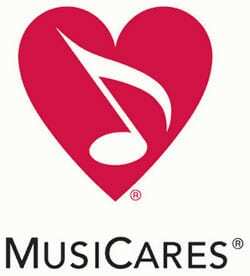 MusiCares’ services are completely confidential. Those wanting to donate to the fund can visit grammy.com/musicares/donations and choose “Hurricane Relief” in the gift designation drop-down menu. The Recording Academy has also implemented a Hurricane Harvey employee donation program, which matches donations made by its staff dollar-for-dollar up to $20,000. Previous’ disaster relief efforts were also organized for victims of the Gulf and Nashville floods, as well as Hurricane Sandy and Hurricane Katrina.